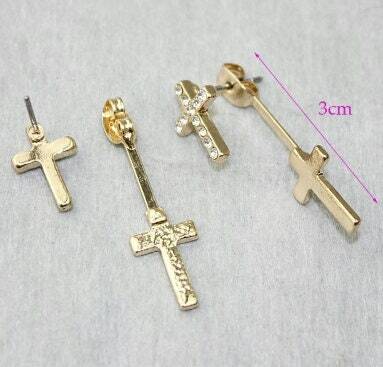 Fabulous Gold Double Cross Ear Cuff Earring. Front and Back Crosses in Two Seperate Pieces. 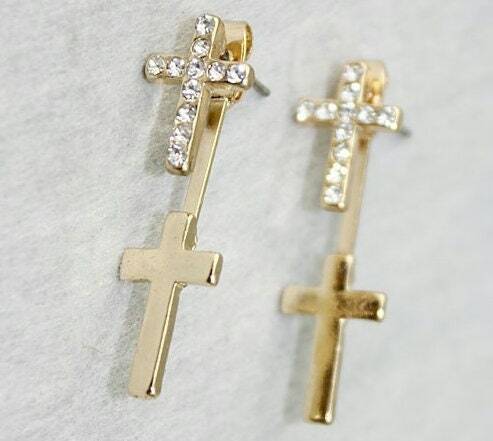 The Gold Double Cross Dangle Earrings with Crystal as a Bridal Accessory. A Saint Michaels Jewelry exclusive design.